Members can taste the exquisite creations of our talented culinary team, lead by our Executive Chef David Smith. Throughout each season, we offer numerous thoughtfully prepared and innovative specials and holiday dinners, providing a level of variety unsurpassed in the region. No matter what your preference is, you will surely leave satisfied. Our Golf House features a casual lodge-style dining room and bar. Members can enjoy breakfast or lunch, or relax with a drink or cocktail after a round of golf. The Golf House is a popular venue for many golf events such as our member-guest tournaments that are held each month during the season. 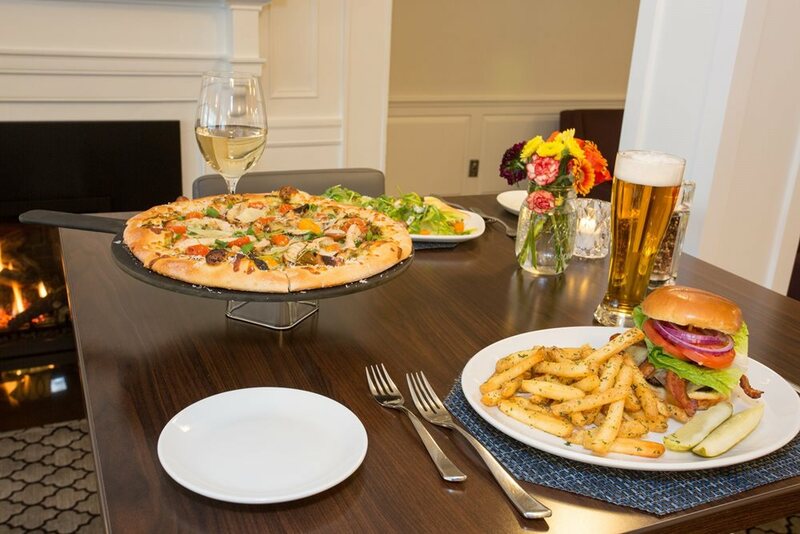 The 1875 Grille & Bar is Vesper’s casual dining area and bar that serves dinner 6 nights a week during the golf season for members’ enjoyment. The 1875 offers a creative American menu with seasonal influences and many different seating options including a full service bar, high top tables and outdoor porch seating. Multiple flat screen TV’s are always on with the news and games of the day for member pleasure. Our formal dining room is at the center of our elegant shingle-style mansion clubhouse built over 90 years ago. The dining room is reserved for our members preferring a more formal dining experience with a spectacular view of the Merrimack River. The Main Dining Room also features a lounge area with inviting soft leather seats, a fireplace and rich Mahogany tables. The lounge is the perfect place to gather for a relaxing cocktail before dinner or for socializing with other members and guests. Vespers’ poolside café caters to the many families that enjoy the summer season by taking advantage of the pool and the many aquatic activities offered by our pool staff. The menu offers everything from quick sandwiches and snacks to creative salads and flatbreads prepared by our 1875 culinary staff. Members can enjoy breakfast, lunch and early dinner 7 days a week during the pool season. Friday night cookouts are also a membership favorite with theme’s dedicated to entertaining our youngest members.